MUST SEE! 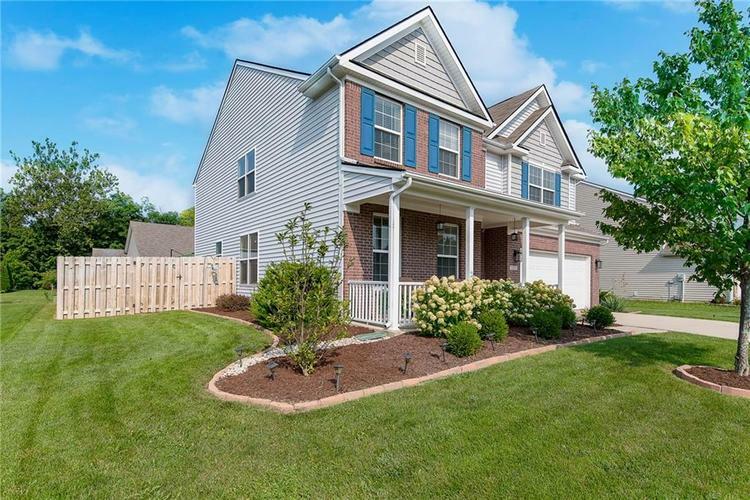 This large 4 bedroom home in desirable Brownsburg school district has been upgraded top to bottom! Don't miss: all new hardwood laminate floors throughout the entire main floor, new carpet upstairs; outdoor upgrades like an expanded back patio, exterior lighting, new fire pit, porch upgrade with new privacy rails, and all new landscaping; appliances including dishwasher, refrigerator, water softener, garbage disposal, and wifi garage door opener; new lighting throughout; organizational system in garage; so much extra space with separate office and loft. All new paint throughout, - this home has it all!!! Previous buyers backed out for personal reasons; inspection was very clean & repairs already made - report available! Directions:I-465 towards West 71st; Left on Lafayette Rd; Right on 56th Street; Left on Raceway Road; Community is on the right.